A jetliner carrying 157 people crashed shortly after takeoff from the Ethiopian capital Sunday, killing everyone aboard, authorities said. At least 35 nationalities were among the dead. It was not clear what caused the Ethiopian Airlines plane to go down in clear weather.Both crashes involved the Boeing 737 Max 8, and both happened minutes after the jets became airborne. 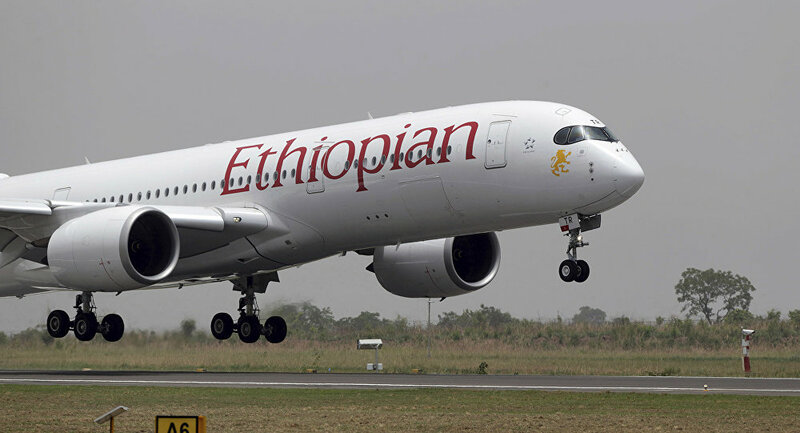 State-owned Ethiopian Airlines is widely considered the best-managed airline in Africa. Ethiopian Airlines issued a list showing 35 nationalities among the dead, including 32 Kenyans and 18 Canadians. The list reflected a broad range of backgrounds, with passengers from China, the United States, Saudi Arabia, Nepal, Israel, India and Somalia. The plane crashed six minutes after departing, plowing into the ground at Hejere near Bishoftu, or Debre Zeit at 8:44 a.m. The pilot was a senior aviator, joining the airline in 2010, the CEO said.